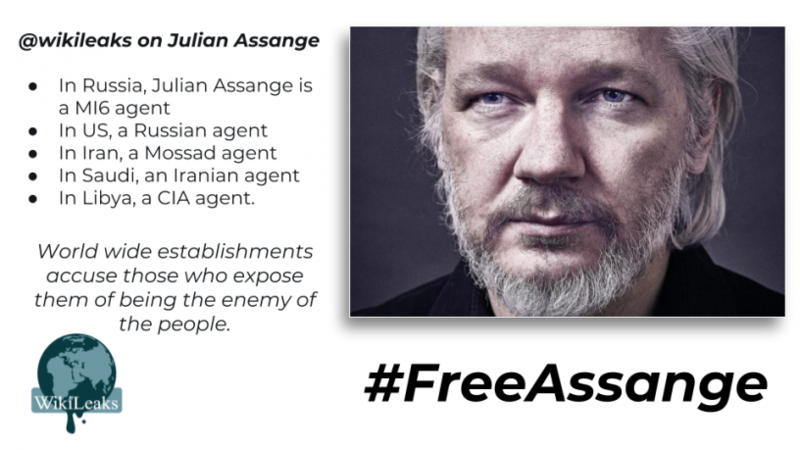 Real Reason Assange was Arrested: Because Assange has the MetaData on HRC, CF, PizzaGate, and RussiaGate and Backroom Deals are being Cut by Staged Actors playing a PsyOp. And Trump Knows IT and Knows Assange Knows IT and so Deals are being Cut to that Affect; Freedom for (Wiki) Facts. Paid Actors and Agents must be Protected as PrePlaced and PrePlanned Assets within Staged Narrative Scripts. A Deal is Being Cut to Testify against Alleged HRC and Crew Interference in Ukraine where the Real a Answers to Fake News Russia Collusion Delusion Lie Hidden in Plain Sight. These are All Actors Playing a Part and All these Events are Staged under Kabbalah Gematria Magick GuideLines. How the Assange Arrest was Coded according to Kabbalah Gematria Magick GuideLines. Even the Russians know what is the going down in DC and London, but the Americans are being taken for a ride by the MSM as usual.